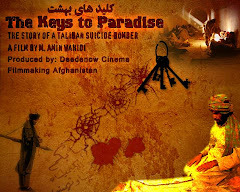 Deedenow Cinema Production Afghanistan: The Afghans in Italy; Stop genocide in Afghanistan! The Afghans in Italy; Stop genocide in Afghanistan! Afghanistan is a country that was drown in different social and political crisis for years and now after seven years of practical presence of the international community in this country, the structure of this country is still very fragile and damageable so anytime any disastrous thing could happen to destroy it. Although most of the problems that are not solved yet are born from the social, political and economic crisis of the past such as poverty, illiteracy and instability which are directly or indirectly resulted form the performances of the discriminating and unjust regimes of the governments but currently the deliberately and inadvertent mistakes of the current government also increase the problems. Ethnic discrimination, admin corruption in the current administration of Afghanistan, leading of the governmental plans by a specific team of Mr. president and lack of accountability and responsibility of the governmental officials to solve these problems create obstacle and challenges for the sufficient performance of the International community and reduced the results of sufficiency of international efforts to the minimum level in the reconstruction of this country. The east and south of the country is becoming the main lands for opium day after day but because some very important and senior governmental officials including the governors of the provinces that are appointed by the president and president’s family member are all the main dealers and controllers of drug products in the country, not many serious and useful efforts are made by the government to eradicate the opium cultivation in the country because the government does not cut its own hands. On the other hand the Taliban insurgents fort themselves logistically using the income of the drug that they deal with the government and then fight against the people of Afghanistan and the international community in this country and this cumbersome war as continues, it tenses the situation and strengthens the needs for a long term presence of the foreign troops in this country. Among all regions, the central highland of the country the Hazarajaat has been all the time peaceful and people who are mostly farmers and livestock keepers in these provinces have all the time been cooperative with the government in the democratization process of the country. These people instead of cultivating opium to support the terror and war have been planting grains like wheat and vegetables like potatoes to promote the useful products in the country and help the pure economy of the country. Hazarajaat without war, opium and violence with an open and democratic atmosphere, has been one of the main potential areas for reconstruction and implementation of development plans but unfortunately the government of Karzai has discriminated with Hazarajaat in this regard. The reconstruction of Kabul-Bamyan- Herat highway which could improve the tourism in Afghanistan on the other hand could shorten the distances between western provinces, central highlands and Kabul and ease the import and export of the agricultural products of central highland and western province is one of the promises of Karzai’s government that is not implemented yet after almost four years. The other place in Hazarajaat that needed reconstruction is the ancient historical Buddha’s statues of Bamyan that was blown up by the Taliban in 2001, but is not reconstructed yet, which could also help the tourism in the country. 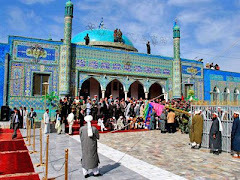 Based on the ethnic tribal structure of Afghanistan, it is helpful to have supports on ethnic basis to get the absolute power in the country, although it would cause the damage of other ethnics or cause ethnic clashes in the country. Or even no matter if it destroys or eliminates the others or cause genocide or an obligatory displacement but important is how to get this ethnic support to have the power in hand. 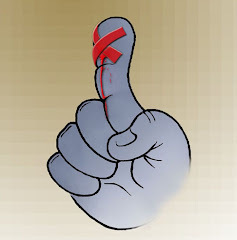 It has been long after its election, that the Karzai administration, in order to remain on power has adopted the policy of impunity for the Taliban as an ethnic support of the Pashtoons although the Taliban have done many crimes against humanity during their five years of sovereignty and also after then. The Taliban as the extremist forces who are practically killing the civilians should have been prosecuted and trialed in war crime courts, while today they are under mercy of the current Afghan government and Karzai administration team based on ethnic relations plays a double role policy with the international community regarding their position with the Taliban. 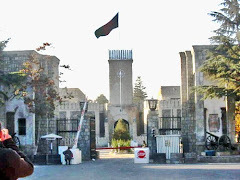 The current Afghan government urges the military presence of the international community in Afghanistan to fight with the Taliban insurgents while on the other hand at the same time, this government allocates a big sum of money for the “forgiveness commission” that releases the Taliban from the prisons and pay them big amounts of money as compensation and then the released Taliban misuse this advantages and go back to join the front of battles against the government, civilian Afghans and international community soldiers. It is not yet all, the government also supports the Taliban with the opium cultivation so they empower and rehabilitate their forces again against the defenseless people, the government and the foreign troops by the income getting from opium business dealing with the senior governmental officials including the family members of the president in Kandahar. The upcoming presidential and parliamentary elections of next year forces the Karzai administration to have Taliban with it at the same time involve the other ethnic electoral rival groups in their regional problems, so that they would not be able to prepare themselves for the elections to win. One of the most democrat ethnics in Afghanistan is the Hazaras and they are all the time supporting democracy, freedom of speech, equality and social justice in Afghanistan because through each of these arenas they can eliminate the discrimination that they were suffering from for years; among the Hazaras the literacy and freedom for women, involvement of the women in social and political issues, general literacy of the whole people are in development nowadays more that other ethnics in the country. At the same time, the Hazaras are the historical victims of Afghanistan who have been under pressures such as; discrimination, oppression, tortures, obligatory displacements and genocide at least for one and half century and transiting from such periods into normal and relaxing life were possible for them with the help and interference of the international community so that the ethnic - tribal pressures of the ruling ethnic would decrease from the deprived ethnics including the Hazaras, so this relatively reduction of pressures on the Hazaras could cause the fall of the pillars the ethnic based ruling governments in long term. The Taliban always considered the Hazaras as one of their main enemies and during their ruling time, the Hazaras face with genocide for the second time in the history and this genocide was the continuity of the same genocide they have faced with in 1880s and 90s by Amir Abdul Rahman Khan the Pashtoon tyrant king who killed 62 % of the Hazara population and forced many to escape to the other neighboring countries. The Hazaras have always opposed the coming back of the Taliban in the political arena of the country, and since the current policy of the Karzai administration needs to have the Taliban as an ethnic support, the return of the Taliban are many times suggested by the government. For the government, it is difficult to have at the same time, the Taliban as their ethnic support with itself and the Hazaras as one of the power balancing ethnic groups who never want the new presence of the Taliban in the political arena of the country in any condition and have always entitled them the war criminals for which they have been facing the discrimination adapted the pro-Taliban government of Karzai and have paid big prices for their opposing role. The Karzai administrations under the specific team, who need the Taliban as ethnic support, assume the Hazaras as their man barrier against an ethnic based government so they have to weaken the Hazaras even if possible by killing them. In the first step the government should destroy the security of the Hazaras so these people not only would not have time and chance for reconstruction, rehabilitation and getting education, but also they would not be able to oppose with the Taliban, so the war should be opposed on the Hazaras and Hazarajaat should burn in fire. So the Taliban received the direct and indirect support of the government to weaken the Hazaras in political, social and economical arenas and the Hazaras would not be able to stand and oppose the government and the Taliban. Within last two to three years, using the name of The Kochies (Nomads) the Taliban have begin their attacks on Hazarajaat by the support of specific senior governmental officials within the Karzai administration team as a result they have killed tens of people and livestock, burnt many houses, schools, and forced thousands of people including the women, the elderly and children to obligatory displacement in Behsood district Maidan Wardak province. Who are the Kochies (nomads)? The Kochies or the nomads are the poor and misfortunate people who are kept illiterate and vagabond for years and years by the Pashtoon politicians and are often being misused for political purposes by them, and no matter even if these purposes would harm the identity and the position of the Kochies in the society. About more than a century back during 1880s and 90s when the Hazaras faced with genocide and obligatory displacement by Abdul Rahman khan the tyrant king of the time, he used the Kochies as a pressure force against the Hazaras and issuing a decree permitted the Kochies holding guns and pistols at anytime anywhere in the country as well as he let them use the agricultural lands of the Hazaras in the summer season as their graze. Thereafter the Kochies became an armed group and from then until the collapse of the Taliban they have been using the agricultural lands of the Hazaras on annual basis in the summer season bringing their livestock for grazing that caused the Hazaras a lot of agricultural and economic loss every year. During the Taliban, these nomads using the power and influences of the Taliban received taxes from Hazarajaat. The Hazaras who had their pieces of agricultural land as the only livelihood tool, how could bear the tyranny of the vagabond nomads who destroyed their everything based on a discriminating decree that is in contrast with any kind of contemporary human rights conventions and laws ?! We live in twenty first century, in 2008 when the world is moving a head towards its highest advancements and nomadic life style and distancing from the modern civic cultures is a social deficiency and is socially and economically harmful for the rest of civic citizens. In the current situation of Afghanistan, when there is lack of identified border lines with the eastern neighboring country Pakistan, at the same time empowerment of the religious extremists in that country has changed the nomadic life style as a serious challenge for Afghanistan. 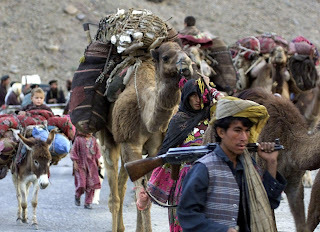 When the borders are not controlled, the Kochies are armed and the religious extremists enter Afghan in huge numbers from Pakistan, the nomads are being misused very easily and become a real threat for the national security of the country. On the hand, from the environmental aspect, the uncontrollable ramping of the nomads in the grass lands and green areas damage the greenery and the safety of the environment in different areas. In the current situation of Afghanistan, nomadic life style is nothing except threats for the civic life of the other citizens, a reason for security instability, destruction of environment and the cause of illegal entrance of extremist forces from Pakistan. So the Afghans in Italy want the disarmament of the Kochies as the other ethnics of the country according to the article no 22 of the Afghan constitution that denies any kind of discrimination and distinction among the Afghan citizens, and says that all citizens have the same rights and responsibilities according to law, so based on this article the Kochies should not be distinct to hold weapons with themselves freely to threaten the social security in the country. The other demand of the Afghan protestors in Italy is the permanent solution of the nomads’ issue by placing them in appropriate locations provided by the government based on the article no 14 of the Afghan Constitution that obliges the government to assist the Kochies for the permanent locating but there should not be any other plot behind it, so the government should locate them based on their needs that is the greenery and grass in this case the evergreen land of Mashriqi the eastern provinces and the tropical southern provinces which have a lot of forests and greenery would be the most suitable places for the permanent locating of the Kochies. But if the government would again, try to locate the Kochies in the areas of the country to displace the other ethnics; it is again discrimination, distinction and violation of social justice in the country and violation of the Afghan constitution. And also the demonstrators demand the absolute annulment of all discriminating decrees and documents that were issued more than a century ago for the purpose of genocide and obligatory displacement of the Hazaras in Afghanistan and are still in force. For this purpose the Afghans in Italy forming a committee “the committee to protest genocide and obligatory displacement in Afghanistan”, condemn the discriminating attitude of president of Afghanistan with this issue which was rooted from wrong counseling of his surrounding team. This committee emphasizes to demand the government of Afghanistan, the UNAMA office in Afghanistan and the other delegation offices of international community member states in Afghanistan not to ignore this genocide and make efforts for a fundamental solution for this issue with clearance, transparency and justice. This committee especially asks the government of Italy as a country that is involved in the reform and reconstruction of the judicial system of Afghanistan, to interfere in this issue with a deep insight to the depth of the issue and help the Afghan government resolve this issue considering the laws, human rights conventions and contemporary legal and judicial standards. We ask the government of Italy to ask the Afghan governments for the absolute annulment of the discriminating decrees from more than a century back that causes violence and extend the continuity of ethnic enmity, bloodshed, genocide and obligatory displacement of people in certain parts of Afghanistan. Conducting a peaceful demonstration in Rome- Italy by presence of hundreds of Afghans in Italy this committee contributed its share to the reality of social justice process in Afghanistan so that Afghanistan would become a common house for all its citizens with equal rights and responsibilities in its real meanings. We hope this committee would continue its continuous struggles and efforts for the realization of social justice in Afghanistan. Dear Wahedi, great article with few exception with thelanguage. I think the Farsi version was much better and was very easy to read. you should send the engish version of it yo Kabulpress as well to be in the neglish version of the website. Amin Jan, I have been reading your articles; you are doing a wonderful and magnificent job. I really appreciate it and I am proud of you. Do you remember we were always talking how to do something for our beloved Qawmas or at least do your parts and don’t stand idle while seeing wrong things happens to our brothers. I should tell you, you are playing your huge role in keeping Qawmas informed and reacting to the nonsense things going on around us. Amin, you got my ID, if you get a chance let me know what you do and how is everything going on up there. When I was in Kabul I heard you are not satisfied with your statues. Let me know cause I am a little worried. I found out Latif is also in Italy, tell him hi for me. An Escalation of the War in Afghanistan and Pakistan is a Very Bad Policy. Conservatives and liberals can argue the merits of the surge in Iraq, or the need to deal with terrorism now rather than later. I want to focus on something else: the impact of the perspective of 1.5 billion Muslims around the world. I’m not implying that it is somehow homogeneous, just relevant; more relevant than my opinion at least. Taking the war on terror back to Afghanistan (and most likely Pakistan) is bad for a number of reasons: the perspective of the international Muslim community; the fact that a military solution has not worked thus far, so why keep kicking a dead horse (especially when it has the potential to trample you); the delicate balance of power in the immediate theatre and in the broader region; the likely negative reaction of other states; and last but not least, its potential impact on the price and availability of oil. Pakistan’s reaction to the Bush Doctrine has been somewhat mixed. Musharraf was caught in the middle between pleasing the U.S. to ensure continued military and economic support, and the preferences of his constituents who resent the U.S. presence there. The region is already very unstable because of this tension between the US applying pressure from the outside and the internal desire of the populace to rid themselves of the unwanted American presence. We can say the exact same thing about Afghanistan, Karzai is in a very similar position as Musharraf was. In 2006, Karzai had to start rearming the warlords to maintain order. Similarly, in September 2006, Pakistan was forced to recognize the Islamic Emirate of Waziristan - a loose group of Waziristani chieftains, closely associated with the Taliban, who now serve as the de facto security force in charge of North and South Waziristan. If Senator Obama becomes president, and refocuses the war on terror in Afghanistan and Pakistan, the best we can hope for is another five to six years of what we’ve seen in Iraq. But this best-case scenario is very unlikely. In addition to a multiple-front war, we would be dealing, not with a fallen state as with Iraq, but with two established states. This could possibly work in our favor as long as they continue to remain on our side. But as already mentioned, the tension is high, and there is a very delicate balance keeping Karzai in power. What if Karzai falls to a coup or assassination? And now with Musharraf stepping down, what happens if Musharraf’s successor plays to the popular demands of the people? We could find ourselves fighting the armies of the sovereign states of Afghanistan and Pakistan, in addition to insurgent forces there. If we consider the history of this region, we realize that this is not as far-fetched as it might sound on the face of it. As we all know, the Taliban was comprised of Sunni Islamists and Pashtun nationalists (mostly from southern Afghanistan and western Pakistan). The Taliban initially enjoyed support from the U.S., Pakistan, Saudi Arabia, and the United Arab Emirates in the early 1980s to fight the Soviets. By 1996, the Taliban had gained control of most of Afghanistan, but its relationship with the U.S. and most of the rest of the world became strained. Most of the international community supported the Taliban’s rival, the Afghan Northern Alliance. Still, even after the U.S. began to distance itself from the Taliban in late 1997, Pakistan, Saudi Arabia, and the United Arab Emirates continued to officially recognize the Islamic Emirate of Afghanistan. Even after 9/11 when Saudi Arabia and the United Arab Emirates officially stopped recognizing the Taliban, Pakistan continued to support it. The Taliban in turn, had tremendous influence in Pakistani politics, especially among lobby groups- as it virtually controlled areas such as the Pashtun Belt (Southeast Afghanistan, and Northwest Pakistan) and Pakistan-administered Kashmir. Going back to the perception of the international Muslim community … When the U.S. demanded that the Taliban turn Bin Laden over, it initially offered to turn Bin Laden over to Pakistan to be tried by an international tribunal operating according to Sharia law. But Pakistan was urged by the U.S. to refuse. Again, prior to the beginning of U.S. air strikes against Afghanistan, the Taliban offered to try Bin Laden according to Islamic law, but the U.S. refused. After the U.S. began air strikes, the Taliban offered to hand Bin Laden over to a neutral state to be tried under Islamic law, but the U.S. again refused. This is important because in the eyes of the greater international community, the war in Afghanistan was justified (at least initially). But in the eyes of the international Muslim community, especially given the Taliban’s offer to turn over Bin Laden, it was an unnecessary war. This, combined with the preemptive war in Iraq, has led many Muslims to equate the war on terror with a war on Islam. Senator Obama’s plan to escalate the war in Afghanistan and Pakistan will only serve to reinforce that impression. 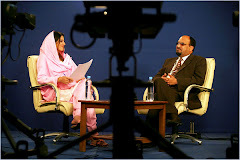 Muttahida Majlis-e-Amal, an Islamic political party in Pakistan, won elections in two out of four provinces in 2003, and became the third largest political party in the Pakistani parliament – with substantial support from urban areas (not just border regions). This speaks to the tremendous influence Islamic groups enjoy in Pakistan. This strong influence is fueled by the fact that the Pashtun tribal group is over 40 million strong. The Taliban continues to receive many of its members from this group today. In fact, the Pakistani army suffered humiliating defeat at the hand of these so-called “insurgents.” Finally, in September 2006, Pakistan was forced to officially recognize the Islamic Emirate of Waziristan. Many saw the Pakistani government’s acknowledgment of the Islamic Emirate of Waziristan as not only a military necessity, but also a political one as well – a concession in response to the growing internal pressure on the Musharraf administration from the people of Pakistan who resent the U.S. presence and involvement in the region. Just consider the many, many public protests against the Pakistani government’s compliance with the United States. For instance, on January 13, 2006, the United States launched a missile strike on the village of Damadola, Pakistan. Rather than kill the targeted Ayman al-Zawahiri, al-Qaeda’s deputy leader, the strike instead slaughtered 17 locals. This only served to further weaken the Musharraf government and further destabilize the entire area. On October 30, 2006, the Pakistani military, under pressure from the U.S., attacked a madrasah in the Northwest Frontier province in Pakistan. Immediately following the attack, local residents, convinced the U.S. military was behind the attack, burned American flags and effigies of President Bush, and shouted “Death to America!” Outraged over an attack on school children, the local residents viewed the attack as an assault against Islam. On November 7, 2006, a suicide bomber retaliated. Further outrage ensued when President Bush extended his condolences to the families of the victims of the suicide attack, and President Musharraf did the same, without ever offering their condolences to the families of the slaughtered children. Last year troubles escalated surrounding the Pakistani government’s siege of the Red Mosque where more than 100 people were killed. Even before Musharraf’s soldiers took the Lal Masjid the retaliations began. Suicide attacks originating from both Afghan Taliban and Pakistani tribal militants targeted military convoys and a police recruiting center. There are countless more examples; too many to mention in detail. Likewise in Afghanistan; April 30, 2007 for example, when hundreds of Afghans protested US soldiers killing Afghan civilians. Why can’t the powers that be recognize that we’ve been in Afghanistan for nearly seven years, and in Iraq for over five; a military approach is not working. If we must focus the war on terror in Afghanistan and Pakistan, let’s focus on winning the hearts and minds of the beautiful people of these countries, rather than filling their hearts with bitterness and hatred toward us. With their support, we can offer them the financial and technical assistance that they need to rebuild their infrastructure, their agriculture and their economy. With their support, we can offer them the needed resources to rebuild their human capital and start attracting foreign direct investment. But without their support, we cannot possibly have any positive influence in this region at all; our only influence will be that of brute force, bribery of corrupt officials, and outright coercion. It will be a long, hard, costly and bloody endeavor, and the people of these countries will continue to suffer. Let’s not forget that Pakistan has nuclear weapons. Let’s not also forget that this is a highly Muslim-concentrated area, the Islamic concept of duty to come to the aid of fellow Muslims would no doubt ensure a huge influx of jihadists in this type of a scenario. Why on earth would we want to intentionally provoke a situation that would not only radicalize existing moderates in the region, but could also potentially cause the influx of a concentration of radical jihadists from elsewhere into an already unstable region (that has nuclear weapons no less)? We would be begging for a nuclear proliferation problem. We like to assume that we would have the upper hand in such a scenario. But we have been in Afghanistan since October of 2001. And we have yet to assume the upper hand. The fight in Afghanistan has the potential to become much more difficult than it already is. Nor would it be unheard of to expect other major powers to back these radical jihadists with economic and military assistance in much the same way that the US backed the Taliban and al Qaeda in Afghanistan against the Soviet Union. Beyond the fact that roughly 1/5 of the world’s population is Muslim (approximately 1.5 billion people- 85% Sunni, 15% Shia, Ibadiyyas, Ahmadis and Druze), we have to remember that Muslims are the majority in 57 states (out of 195). Most of these have Sunni majorities, which gives them added political power. China has traditionally backed Pakistan. What would China do if the US were to find itself at war with Pakistan? India has tremendous economic and security interests in the region. Let’s not forget that while India has been in nearly continual conflict with Pakistan, primarily over the Kashmir issue, it has the second largest Muslim population in the world next to Indonesia. What happens if India were to side with the U.S. in a potential conflict with Pakistan? It will have a very difficult task justifying that position with its very large Muslim population. A U.S.-Indian alliance could also spark more terrorist attacks in the Kashmir region; it could also create added tension to the already tenuous relationship between India and Iran, which has a long history of support for Pakistan. Or, if radicals gained control of Pakistan’s nuclear arsenal, a nuclear attack against India could spark a nuclear altercation between the two nuclear powers. Or, what if radicals then gained control of India’s nuclear arsenal? On the other hand, what happens if India for some reason (either via a coup or due to Muslims gaining the upper hand in the long-running Hindu-Muslim conflict) were to side with Pakistan against the United States? It seems unlikely now, but not completely unrealistic considering the on-again, off-again relationship between the U.S. and every country in that region. We constantly flip-flop in our foreign policy. An attack on Pakistani soil would be a perfect example of this type of wishy-washy foreign policy, as the Bush administration guaranteed Musharraf that the U.S. would never do such a thing (as much as Karzai wants us to). Speaking of Karzai, what if he is ousted and we find ourselves at war with Afghanistan. What would India do then, given its friendship with Afghanistan? Also consider the U.S. position on Kashmir, which has a predominantly Muslim population. Pakistan wants a plebiscite, as called for in a 1949 UN resolution, to essentially allow the people to decide which state the region should belong to. India refuses a plebiscite, claiming Kashmir and Jammu as an integral part of India. The U.S. is arming both sides through billions in aid to Pakistan and selective proliferation to India, but insists Pakistan stem terrorist activities flowing from inside its borders, and at the same time discourages India from attacking Pakistan. Yet an escalation of war in the area could backfire badly. Beyond all that we still have to consider a slew of other states such as Saudi Arabia, Iran, and Russia – not to mention the central Asian states - all of which have economic and/or political and security interests in the region. How will they react to an escalation of the war in Afghanistan and Pakistan? Finally, what would such a scenario do to oil prices and availability? I’m 100% in favor of America developing alternative energy sources, but again that’s my opinion, and the oil conglomerates have not been listening to me. Unfortunately, the facts are that the oil lobby is a very powerful entity. Even more to the point, our country could not ween itself off of oil overnight, even if it wanted to. We have to consider what such an escalation would do to oil prices, and the overall availability of oil. The oil embargo of 1974 (in support of Egypt and Syria in the Yom Kippur war against Israel), in retaliation against the U.S. for its support of Israel had devastating economic and political consequences on the U.S. and much of Europe. Also, the more recent boycott of Danish products across the Muslim world, in retaliation for the 2005 cartoons of the Prophet Muhammad, demonstrates the ability of the international Muslim community to act collectively. Escalating the war in Afghanistan and Pakistan would also demonstrate the fickle and hypocritical nature of America’s foreign policy. We supported the Taliban when it served our interests (to oppose the Soviets in Afghanistan) in spite of clear human rights abuses. But now we condemn the Taliban (and much of the Muslim world) over the very same human rights abuses (against women … etc. ), while we also continue to ignore similar or same human rights abuses in China, Saudi Arabia, Israel … etc., when it’s convenient for us to do so. We did the same thing with Saddam Hussein; arming him in spite of clear and egregious human rights abuses when he was our ally, and condemning the same actions when he wasn’t. The U.S. practices selective proliferation with India, and selective sovereignty with those it chooses (today Pakistan, tomorrow someone other than Pakistan), while at the same time violating the sovereignty of other states- depending on its whim at the time. The United States government insisted that the Taliban turn over Bin Laden, but the United States itself has refused on several occasions to return foreign nationals (being held on death row in America) to their state of domicile because the U.S. wanted them to face execution, and the home state did not uphold the death penalty. We also continue to refuse to acknowledge the ICC because we don’t want American military personnel tried in an international court. How is that so different from the Taliban wanting Bin Laden tried in an Islamic court? Rather than blindly accepting that America holds some God-given moral superiority over the rest of the planet, we need to realize that everywhere, humanity has a God-given right to live, love and prosper. Our children have the right to grow up in an environment free of air strikes and constant assault from an external enemy. They have the right to attend schools without fear of being maimed and killed inside of them. And they have the right to be children, instead of orphans. No state has the right to take that away from your children, or from mine. Imagine now that Senator Obama is planning to escalate the war on terror where you live. “Sto cercando lavoro’ I say these days.